For years, the iconic South Beach mansion best known as the place Gianni Versace lived and died was open only to the privileged few. Before the designer's demise more than a decade ago, his celebrity friends stayed so often, rooms were outfitted with them in mind. After Versace's murder and the house's sale, it became home to another mogul with A-list friends. The only residential home on Ocean Drive, this exclusive private residence has slowly opened its doors, first as an invitation-only private club, then allowing non-members to stay in its ornate rooms, and now to the masses - or at least anyone willing to casually or anxiously pay $65 for a tour that lasts a meager 60 minutes. For another trifle $100, one can enjoy a three-course lunch in the dining room. The possibility of touring the villa and enjoying a meal there afterward - or if you're lucky enough, to stay in one of its ten suites - is no small change for the economic weary. But it offers visitors a glimpse of a truly special place long kept from the public. Outside, tourists flock to the cast-iron gates, taking pictures all hours of the day. It is not until you enter, though, that you truly sense its magnificence. 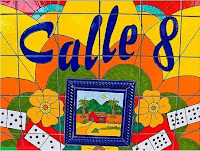 Pass through the limestone arch and stroll into the courtyard of Casa Casuarina, and the fuss all makes sense. The trickle of water from a fountain, the shift of clouds above, the tickle of Atlantic breezes - the simple beauty of each is enhanced by the home's lavishness. Every inch of this story-book mansion is full of thought and history and detail. And yet it feels intimate and generally not over-the-top. Modeled after Alcazar de Colon, the Dominican Republic house built by Christopher Columbus' family in 1510, Casa Casuarina is a three-story, Mediterranean-style home surrounded by a high wall on a fashionable stretch of Ocean Drive. It was built in 1930 by Standard Oil heir Alden Freeman, later became a hotel, spiraled into disrepair. During its gentrification period, this villa deteriorated at one point to a hostel where rooms went for as little as $1 a night. Alas, this was not its lowest point. Miami Vice producers used the dilapidated building for a scene of drug bust. Versace bought it in 1992, along with a hotel next door, and did massive renovations to make the estate what it is today. At this time in South Beach history, began the second wave of reviving Ocean Drive. The first wave came in 1979 when a small, frail, widow fought back deep-pocket developers from tearing down all the Art Deco buildings. Her name was Barbara Capitman. The purchase of the neighboring hotel made room for Versace's pool, a centerpiece of the tour, made of more than a million Italian mosaic tiles and 24-karat gold pieces. Its design was inspired by a Versace scarf and was created in Italy, broken down, shipped in numbered sections and reassembled here. Versace's touches are everywhere, often in the form of his Medusa head logo, which is seen in gold, on gates and railings, in stone mosaics even on shower drains. And, of course, visitors will want to know where he spent his final moment that Tuesday in July 1997, which staff prefer not to speak about. He was shot by a serial killer who later committed suicide. 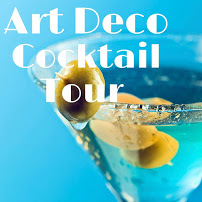 For more fascinating details, you can take the Art Deco walking tour which stops in front of the Versace Mansion. The home is no longer owned by the Versace family; it was sold in 2000 to telecommunications mogul Peter Loftin, who has slowly welcomed the public inside the estate while maintaining all of the Versace touches. The home is full of tapestries, sculptures and paintings. The smell of fresh flowers and sound of classical music fills the air. The roughly hour-long tour includes the central courtyard, dining room, lounges, the pool and a look at a marble toilet with a golden seat, billed as one of only three in the world. While the downstairs of the home is exquisite, whether it's worth the price of the tour depends on your interest in art and architecture, your desire to gain access to an exclusive place, and your level of disposable income. Upstairs is off-limits to tourists. To get a glimpse, you must be a club member or a paying guest. But it, too, is stunning and steeped in a history dotted with familiar names. There's the bathtub - the only one in a house full of showers - put in for Madonna. There's the uppermost area of the house, the observatory, where Tom Cruise and Katie Holmes reportedly enjoyed a three-hour dinner before getting engaged. There's Versace's sprawling cedar closet, one filled more recently, the host says, by Paris Hilton. The name-dropping here doesn't stop. The Wedgwood Suite was Cher's favorite; the Safari Suite was Elton John's. A photo of Bill and Hillary Clinton hangs in a cigar lounge; mentions of recent guests are made effortlessly. Just stepping out on one of the balconies facing Ocean Drive and throngs of tourists makes you a celebrity, albeit briefly, too. The bedrooms share many of the characteristics of downstairs - elegant chandeliers and moldings; thick, rich drapes and bedding; and artwork on the walls. But they also often offer stunning views - in the foreground, a fountain spouts water into the pool, and just off in the distance, behind the palms, soft ocean waters lap ashore. The style of each suite is very different, though they may share the fact that they're all out of your budget. Three of the ten rooms peak at $1,200 during the popular winter season, plus 13 percent tax and 22 percent service charge. The others climb in price, up to the owner's suite, which lists for $10,000 nightly. Prices are cheaper in summer, when the blistering heat chases many tourists away, and for members. 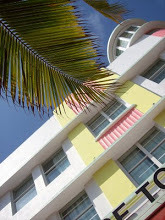 There is no way to sugarcoat the price, but it is worth noting that you could stay in one of the cheapest rooms and have room for several and that, given the exclusivity, a lower-end room could be considered a deal compared with other pricey South Beach hotel suites. In the Parrot Suite and the Wedgwood Suite, there are two full-sized daybeds in addition to a queen, meaning it could comfortably sleep four. And, it is a once-in-a-lifetime experience. No one expects the Versace mansion to be cheap; they do expect it to be special. And it delivers. In here, everything seems different, and a Tuesday afternoon is transformed from mundane to magical. CASA CASUARINA: Gianni Versace mansion, 1116 Ocean Drive, Miami Beach; http://www.casacasuarina.com/ or 305-672-6604. Call for tour reservations. Tours typically offered every other day during the peak tourist season, with times varying morning and afternoon. Cost: $65. Those who take the tour can enjoy breakfast or dinner at Loftin's 1116 Ocean, the in-house restaurant, at an additional cost.